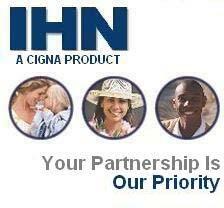 Dedication to customer service is the benchmark of IHN’s foundation. From a practical standpoint this commitment translates into a consistent, efficient administration that processes work comp claims in a matter of days – not weeks or months. In addition to a dedicated customer service staff, IHN utilizes an automatic call dispersal (ACD) system which allows customer service calls to be distributed over a wide access of knowledgeable IHN team members.